Wellybix products are full of natural goodness, packed with Alison's own garden herbs, and slow-baked for extra crunch. 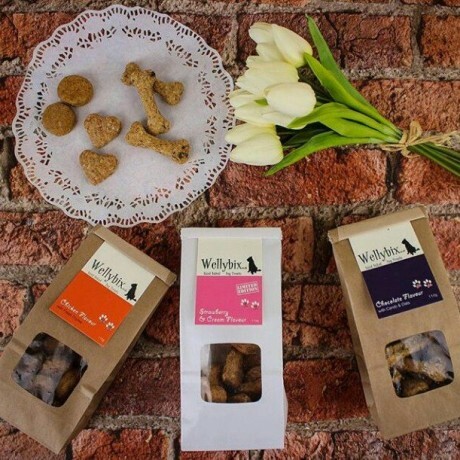 They are made with top quality human grade ingredients and have been analytically tested and approved by a veterinary laboratory. 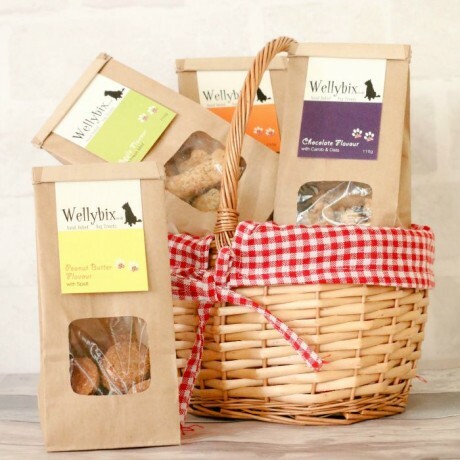 Wellybix have no artificial preservatives, colours, flavour enhancers or added sugar or salt and have also been tested and approved by Welly! The taster pack includes a selection of 4 different flavoured 110g packs.